You need other means and methods to put out liquid fires than fires in solid materials. With TRIFIRE’s liquid burner you can train putting out liquid fires without any risk or pollution. The propane / butane gas bubbles up through the water and ignites on the surface, giving you the exact same experience as would an authentic liquid fire of about 1 square meter. Furthermore, the specially developed ignition system ensures that the burner works smoothly regardless of the amount of water or powder on the burner. Electronic remote control with 10 meters of cable enabling you to start and stop the liquid burner or dry burner from a safe distance. The remote control also serves as a dead man’s switch. Gas tubes with quick couplers in both ends enabling you to quickly attach and remove the tubes. The quick couplers also ensure that the bottled gas remains in the tube. This means that you do not need to fill the tube with gas when starting the liquid burner or dry burner. Fixed wheels enabling you to move the liquid burner or dry burner with ease despite their heavy weight. The heavy weight is due to the thick stainless steel used to ensure maximum durability. prop wastepaper basket mounted on. 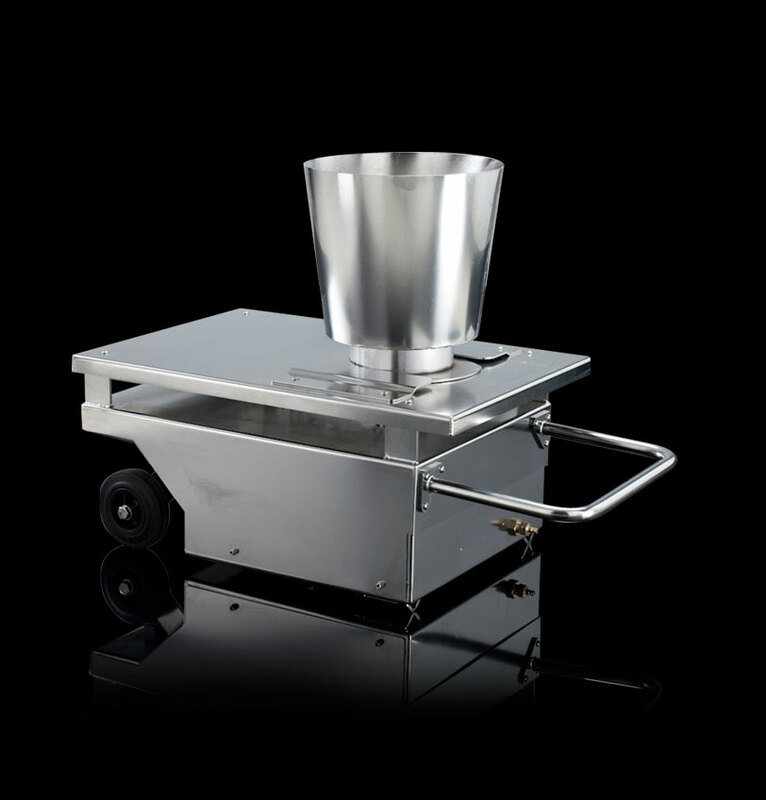 TRIFIRE’s dry burner is a base unit on which you can mount props to simulate different types of fires. The dry burner is hermetically sealed to prevent water and other fire extinguishing means from reaching the electronic circuits. 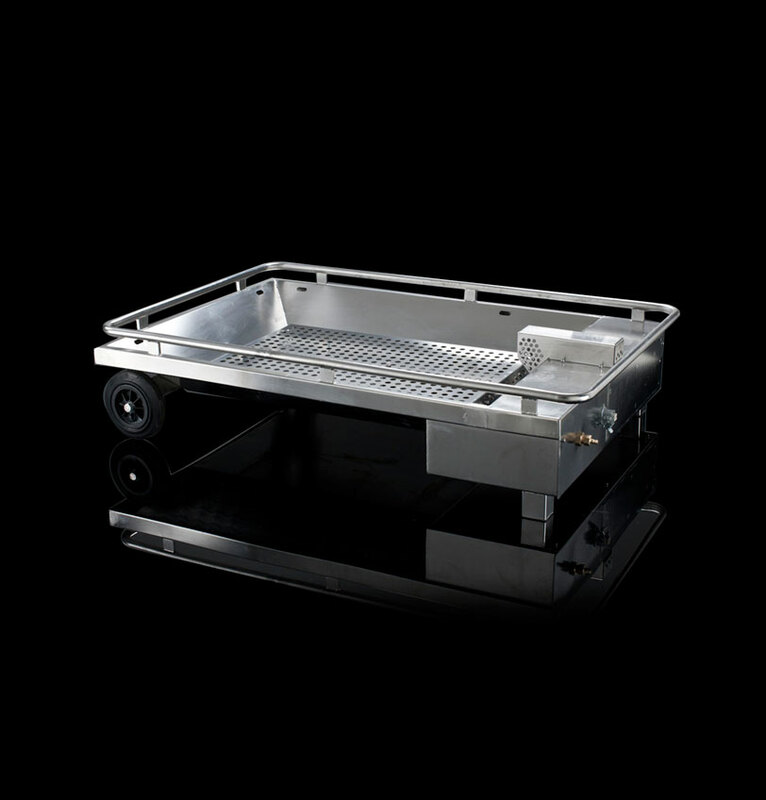 To protect the dry burner from temperature shock, the props are mounted on a stainless steel plate above the unit containing the burner, valves and electronics. Gas tubes with quick couplers in both ends enable you to quickly attach and remove the tubes. The quick couplers also ensure that the bottled gas remains in the tube. This means that you do not need to fill the tube with gas when starting the liquid burner or dry burner.